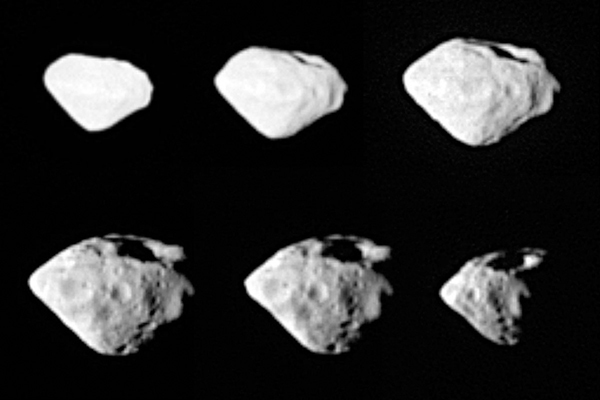 Last week the Rosetta craft (carrying our prototype Rosetta Disk) successfully recorded its flyby of Stei ns Asteroid with these — the first images from its OSIRIS imaging system (also check out this cool animation). During the flyby, the craft was out of communication for approximately 90 minutes – what must have been a nerve-wracking, although planned silence, as the teams engineers turned Rosetta away from the sun. The Steins Asteroid was the first scientific target for the Rosetta craft as it makes its way to the comet 67/P Churyumov-Gerasimenko. From the collected data, the team’s scientists hope to better understand the composition and formation of the unusually bright asteroid .